This grant funded project undertaken for the Immokalee Community Redevelopment Agency is located on Immokalee's most prominent corner. 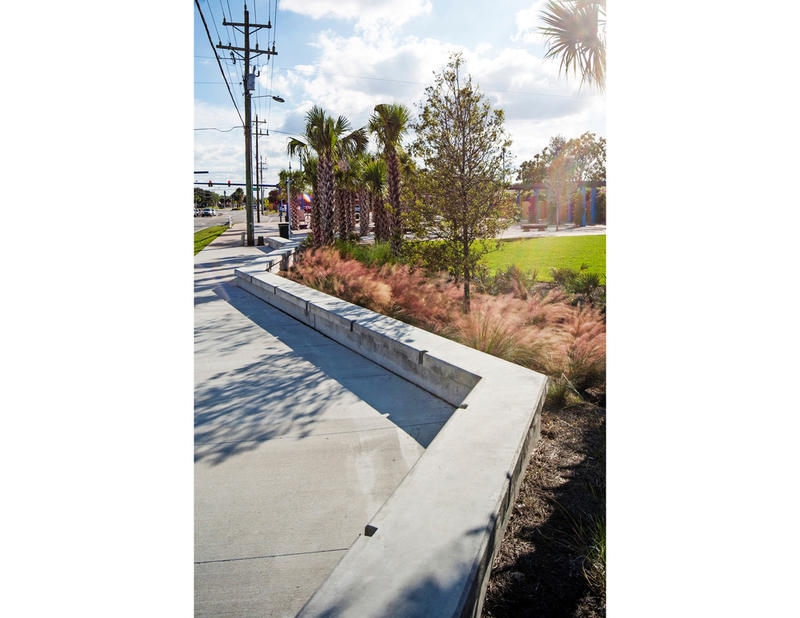 With the use of xeriscaping, crushed shell paving, concrete and steel, and cypress log benches the park will be rugged and require little maintenance. 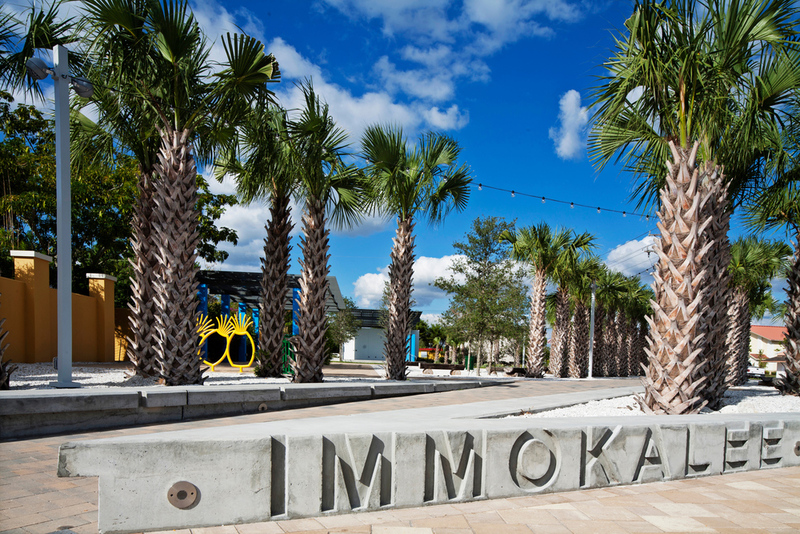 The design was developed in collaboration with the citizens of Immokalee. 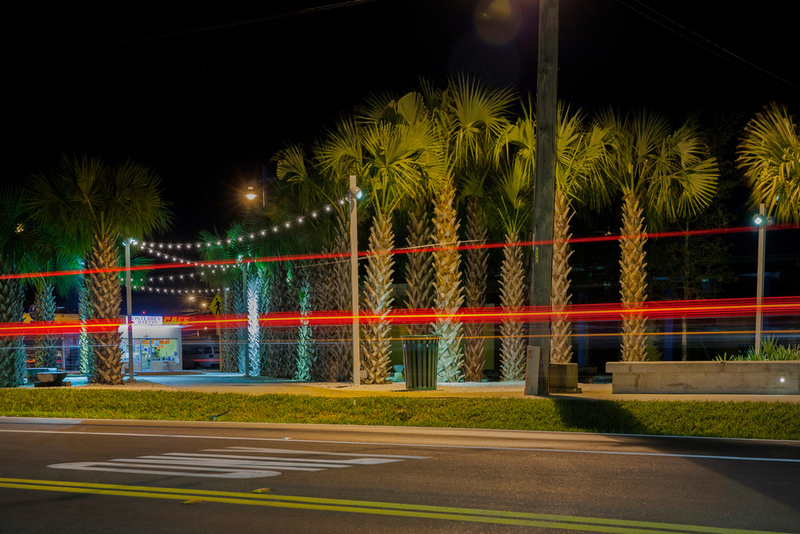 The central organizing element of the park is an existing pathway that lined with an arcade of sabal palms and festival lights. 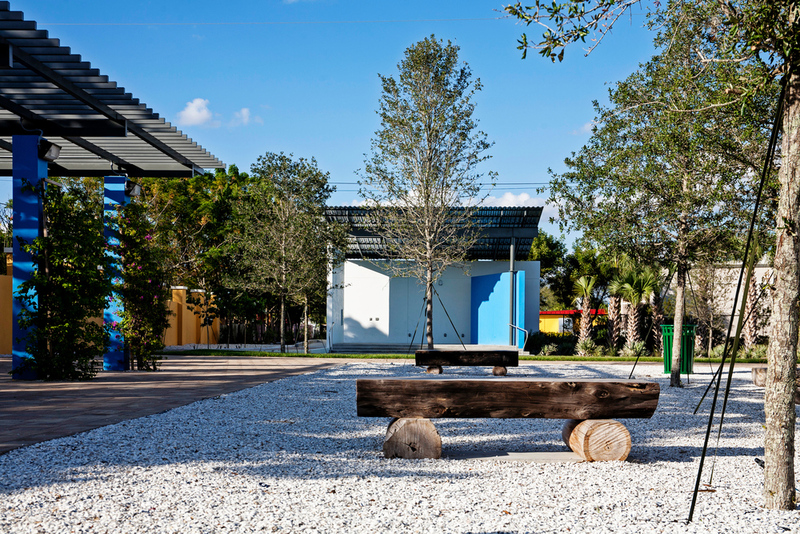 A wall that will provide a backdrop for future art installations and a shade trellis line the west edge, while a multipurpose pavilion and grassy lawn provide an area for gathering or watching a musical performance.